Product comments: Love is in the air! These days, organizations place so much emphasis on reputation management and discovering what customers don’t like about products and services. Evidently, having a good grasp on the demands of the marketplace is important, but what about all of those great pieces of positive feedback your customers send you? Are they considered integral components of the ideation process? How do they impact your overall product development process? There is nothing more rewarding than hearing that your customers love you and that your products are actually making their lives easier. With OneDesk you can capture all types of product comments even those mushy, feel-good comments like “I love this app!” or “I have been looking all over for a solution like this!” or my personal favorite “This product rocks my world!”. OneDesk features a powerful customer portal that allows your customers to open up and share their feelings about your products. 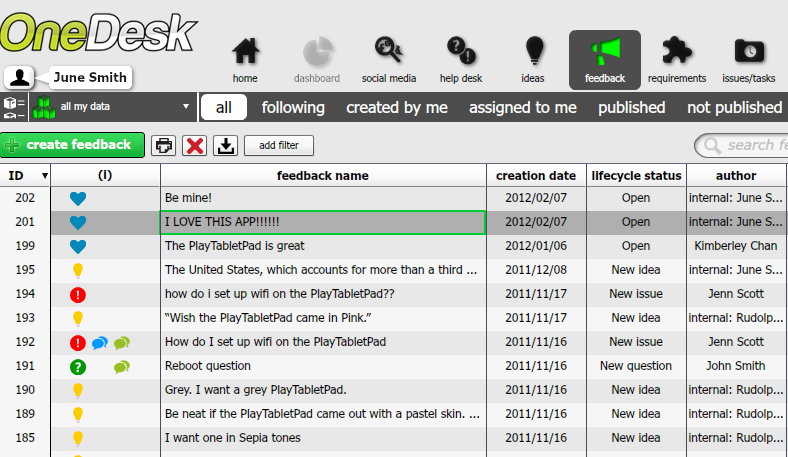 But it does not end there, you can then capture these product comments and they will arrive directly into OneDesk. Essentially, the information gathered and analyzed from a customer portal allows companies to better aggregate insightful data that supports the production of customer centric products and services. Step 2: Start a two-way conversation with customers to better understand their needs and elaborate the details of their insights. Spread the love. 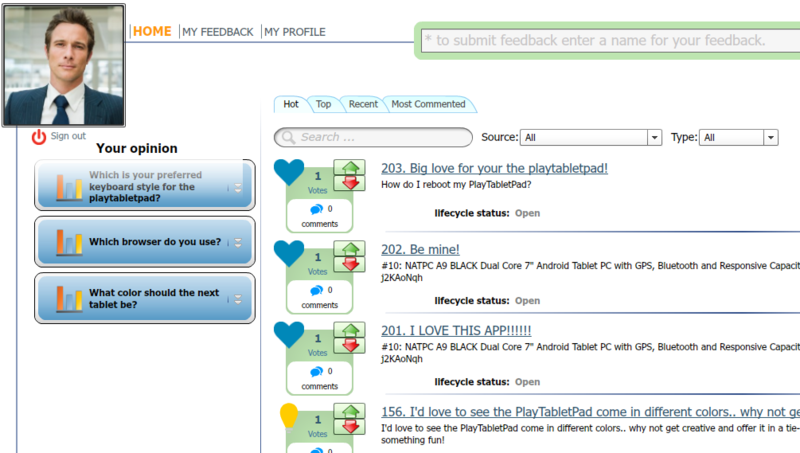 Sign up for a free account now and invite your customers to submit feedback.